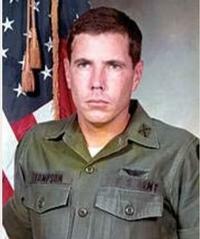 Vertipedia - Hugh Thompson, Jr.
Hugh Thompson, Jr., a former Army helicopter pilot honored for rescuing Vietnamies civilians from his fellow soldiers during the My Lai massacre, died January 6, 2006 of cancer at the Veterans Affairs Medical Center in Alexandria, LA. He was 62. On the morning of March 16, 1968, while flying a reconnaissance mission, Mr. Thompson, door-gunner Lawrence Colburn, and crew chief Glenn Andreotta came upon U.S. ground troops killing Vietnamese civilians in and around he village of My Lai. “These people were looking at me for help and there was no way I could turn my back on them,” Mr. Thompson recalled in a 1998 Associated Press interview. The men landed their helicopter in the line of fire between American troops and fleeing Vietnamese civilians. Mr. Thompson ordered his men to point their guns at the Americans and shoot anyone who tried to kill the villagers. Colburn and Andreotta provided cover for Thompson suffered snubs and criticism from people who considered him unpatriotic. But as the years passed, he became an example for future generations of soldiers. Colonel Tom Kolditz, chief of the U.S. Military Academy’s Behavioral Sciences and Leadership Department said, “There are so many people today walking around alive because of him, not only in Vietnam, but people who kept their units under control under other circumstances because they had heard his story. We may never know just how many lives he saved.” Mr. Thompson was shot down five times during the Vietnam War, broke his backbone in the last crash, and suffered from psychological scars for the rest of his life. At the time of his death, he was a counselor for the Louisiana Department of Veterans Affairs.